The vinyl revolution thrives as vinyl sales continue to soar with the help of new album releases, Record Store Day exclusives, and of course, reissues of hard-to-find originals. The Black Crowes answer the reissue call and ready several of their now-classic albums for vinyl re-release. 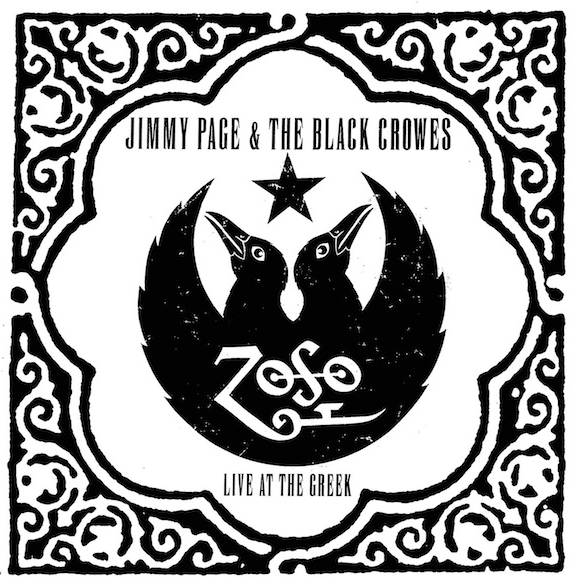 First up, and I can’t tell you how excited I am for this one, is Jimmy Page and The Black Crowes “Live At The Greek” 3xLp pressed on virgin white vinyl. Originally released in 2000, (with very few vinyl copies being pressed,) The Crowes and Page rip through a slew of Led Zeppelin classics, several rhythm and blues standards, as well as seething Yardbirds and Fleetwood Mac covers, making everyone wish Zeppelin had never stopped recording and touring. Not since before the recent Zeppelin “Celebration Day” release has Page sounding more on top of his game. Thankfully, you don’t have to wait long for “Live at The Greek.” This triple killer is already in at an indie record store near you. Also on the horizon are reissues of The Black Crowes’ earliest releases, “Shake Your Money Maker,” “Southern Harmony & Musical Companion,” as well as the bands’ seminal 90s recordings, “Amorica” (2xLP pressing) and “Three Snakes & One Charm.” All of these reissues will receive the 180g vinyl pressing treatment, and are scheduled for a November 25th release, just in time for Back to Black Friday. The last time a Black Crowes vinyl reissue was available was the 180g pressing of “Southern Harmony,” which according to fans, is a terrible and shoddily produced piece of wax. Hopefully, the producers of these latest reissues took the time to revisit the original master tapes to produce a top-notch, quality product. Boomstick and Classic Waxxx will be sure to give our opinion when the time comes. Now, if only the band would reissue their lush masterpiece “Before the Frost, Until The Freeze…” as a more readily-available vinyl release, I could die happy. Record Store Day 2014 Releases!!! This entry was posted on Friday, October 25th, 2013 at 10:32 am	and is filed under Music, News. You can follow any responses to this entry through the RSS 2.0 feed. You can skip to the end and leave a response. Pinging is currently not allowed.